Our community started again on 20.10.18 with a course suitable for new singers to learn singing in order to have fun singing in a mixed choir. The course was held in Spanish and German, with simultaneous translation into English. The participants learned the staff and scales and how to sing canons. In order to get concentrated to a certain level right at the beginning, a 1-day workshop was offered at the beginning. Afterwards the further teaching units always take place on Sundays from 11.30 o'clock to 12.30 o'clock. At the very end there is the opportunity to rehearse new songs in another workshop together with the church choir and to participate in our Advent concerts. 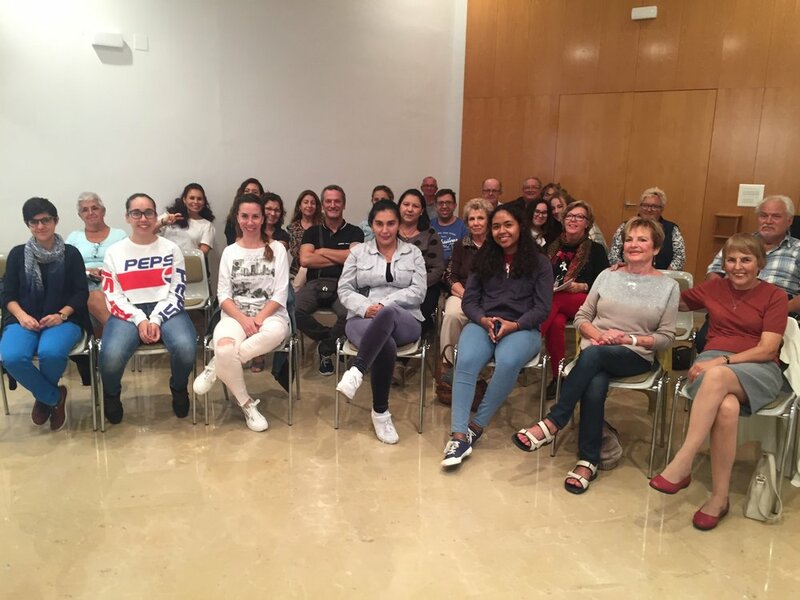 This time there were also participants from our congregations in Alicante and Murcia. More than 30 participants, more than half of them friends and guests, were warmly welcomed by our conductor and introduced to the "world of music". One day later, on Sunday, 21.10.18, the "new ones" practiced the song "Holy, holy, holy", were then integrated into our choir and sang this song together.